For some homeowners, it can become a challenge to make monthly mortgage payments on time long term. Circumstances change. An individual may lose his or her job only to secure a new one. Others may struggle for a few months just getting caught up financially. For those who need to consider new loan terms, the Home Affordable Refinance Program, known as HARP, may provide financial support. This program is available to some borrowers. The Home Affordable Refinance Program is a tool used to help individuals with certain loans to refinance their existing loan into a new one. Refinancing is the process of obtaining a new loan – potentially with a new interest rate, a new term, and other requirements. The new loan pays off the existing loan on the home, providing the homeowner with the ability to make payments that could be more affordable to them. The Home Affordable Program was first introduced by the United States Department of Treasury in March of 2009. It is a federal program designed to help homeowners to secure refinancing opportunities if they have been turned down for other loans in the past. The key component of the program is to help people who have the means of making payments in the long term to avoid foreclosure on their home. Another key component of the program is focusing on who can use it. Specifically, the program targets homeowners who have a loan and who are up to date on payments, but who cannot otherwise refinance because their loan is underwater or close to being underwater. What Is an Underwater Home Loan? Many people purchased homes in the late 1990s and early 2000s when home prices were rising quickly. When the country experienced a housing market collapse, home values fell significantly. As a result of this, many homes were no longer worth what was owed on them. The problem was if the home’s value was no longer worth more than what was owed on them, it was not possible to refinance the loan. Homeowners were unable to sell their homes for enough to pay off their existing loan. This cramped the housing industry significantly. Many homeowners struggled with the risk of foreclosure, a process in which the lender forces the sale of the home. An underwater home is one where the value of the property is no longer as high as the amount owed on it. For example, a homeowner may have a home worth $200,000. However, he or she owes $225,000 on the home. This is an example of an underwater home, one that cannot be refinanced through typical means. However, the HARP program provides an opportunity to do this. It may allow some homeowners to refinance into a new loan that is more affordable even if the borrower is underwater. There are numerous restrictions. This is different from the federal program known as the Home Affordable Modification Program or HAMP. This option – which is no longer available – allowed homeowners who were facing or in foreclosure to modify the terms of their existing loan to make it more affordable to repay. Unlike HAMP, HARP requires borrowers to be current on their monthly payments. The HARP mortgage program has numerous requirements for borrowers. For those borrowers who may need help with refinancing for these reasons, it is important to consider all of the eligibility requirements set forth through the HARP program. Here is a look at some of them. Most loans in the United States are owned by investment portfolios or through the government lending agencies known as Freddie Mac and Fannie Mae. These programs do not service the loans directly in most cases. That is, the loan payments may be made to another mortgage lender. However, many loans are still owed by Fannie Mae and Freddie Mac. For individuals to qualify for the HARP program, the loan must be owned by one of these two organizations. It is possible to learn this by looking at documents as well as to visit the websites of these organizations and search for the ownership of the loan in the provided database. Most homeowners do not know if they have a loan owned by these organizations. For this reason, all property owners should look up this information before believing there are ineligible for this refinance option. The HARP loan program is available to property owners who have a loan originated on or before May 31, 2009. This means the homeowner must have purchased and closed on the loan before this date. If an individual closed on the loan after this date, the loan does not qualify for the program. The program is available to individuals who have not used a HARP refinance previously. It is meant to be a one-time used program. However, individuals who refinanced through the HARP program from March through May of 2009 may apply again due to changes in the program. Another key component of the HARP mortgage refinance is that the borrower must be current on his or her home loan. That is, the individual needs to be making payments on the home loan according to the terms of the existing loan. There should be no 30 day plus late payments in the last six months. And, in the previous 12 months, there cannot be more than one 30 day plus late payments listed. This is an essential component. Individuals who are behind are unlikely to qualify. The loan’s current loan-to-value ratio must be no more than 80 percent. The lender who is working with the homeowner to qualify for the HARP program will provide more information about how to figure this as it is a fluid number dependent on many factors. It is also important for the borrower to benefit in some way from the process. Generally, this means the borrower must be able to secure a lower monthly payment. This would help to make the monthly payments easier for the borrower to make. However, the refinancing can also benefit if it creates a more stable loan for the borrower. For example, a homeowner with an adjustable rate mortgage may benefit long-term from a fixed rate loan. The home affordable refinance plan is available to most types of homes. This includes a single family home and primary residence. It includes second homes and investment properties. This is a change from the original HARP program. Harp 2.0 provides for refinancing of these investment properties if all other eligibility requirements are met by the property owner. Who Should Consider Using the Program? Many people struggle with their home mortgage. But, not everyone will benefit from the use of this program. Individuals who wish to refinance but are struggling to do so because of the value of their home should consider the use of this program. 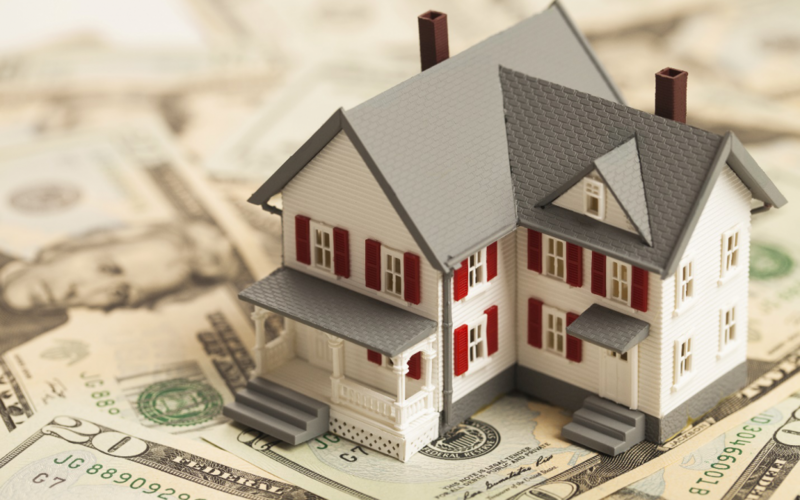 The HARP mortgage refinance program may help many people including for the following benefits. The interest rate on a home loan is the cost of buying the property. This is the fee the borrower pays. The higher this is, the more expensive it is to purchase the home overall. A lower interest rate can offer numerous benefits to a homeowner. A key to this is reducing the overall cost to buy a home. Home interest rates have fallen significantly since the housing crisis, which has opened the door to opportunities to save significantly on mortgage loans for qualified borrowers. If a homeowner’s existing loan has an interest rate that is one or more percent higher than what they could obtain by refinancing, he or she should consider it. It is important to know closing costs apply to these loans in most cases. Closing costs can account for up to five percent of the loan’s value. In order for any refinancing to make sense in terms of a lower interest rate, the loan savings should be at least as much as the closing costs or more. Some homeowners benefit from a lower monthly payment. A lower payment may occur simply because the interest rate is lower. This can reduce the financial hardship the homeowner has in making his or her payments. For individuals who wish to significantly reduce their monthly payment, it is possible to do so through a lower interest rate loan or through a longer-term loan. Lenders will work closely with the homeowner to determine the best scenario for his or her needs. Some home buyers secured an adjustable interest rate loan when they purchased their home. This type of loan allows the lender to adjust the loan’s interest rate upward throughout the life of the loan. The benefit initially is a lower interest rate, but over time, this becomes very expensive. Refinancing using the home affordable refinance plan can help to convert an adjustable rate loan into a fixed rate loan. A fixed rate mortgage loan offers several benefits to the property owner. It allows for all of the payments throughout the lifetime of the loan to remain the same. This creates predictability. It makes it easier to budget for and manage the loan in the long term. Some home loan borrowers will benefit from a shorter loan term. A shorter term means the homeowner will pay off the loan in a shorter amount of time. Transitioning from a 30-year loan, for example, to a 15-year loan offers benefits. The largest of these is the reduced overall cost of the loan. With less time for interest to grow, a shorter term can mean a lower cost to buy the home. However, some borrowers may find their monthly payment may rise with a shorter term. If this occurs, and how much it changes, relates to the actual interest rate the borrower is able to obtain through the mortgage refinancing. This is something the lender can work with the borrower for. How Can a Homeowner Secure a HARP Plan? Homeowners who wish to consider refinancing their current loan should consider their options. Borrowers can use any Fannie Mae or Freddie Mac approved lender for the process. They do not have to use their existing lender to refinance. And, in some cases, other lenders may offer more financial benefits or be more willing to work with the borrower. Individuals will need to apply for the loan through a HARP-approved lender. This process will include an initial application, approval from the lender, and a closing process. Generally speaking, it can take several weeks to complete. Individuals who receive an initial no to the application should ask why this is. Some HARP lenders may not approve a borrower for internal reasons, such as the creditworthiness of the borrower. However, another lender may offer an option to do so. The key is to learn why the borrower was turned down. Is Refinancing the Best Decision? In some situations, borrowers should consider refinancing their loan under the HARP program. However, in other cases, this is not ideal. The concern relates specifically to the individual’s ability to keep making payments. One component of HARP is that the borrower must be able to demonstrate his or her ability to make payments on their mortgage both now and in the long term. If a borrower is not able to do so, he or she may wish to avoid refinancing the loan. Individuals will need to apply for the loan through the lender. And, any lender will set their own requirements for the creditworthiness of the borrower. Individuals who are struggling with underwater loans, though, should view the HARP program as an opportunity to get back on track financially or to save money in the long term. It can also offer a better way to sell the home in the years coming if the homeowner decides to do so.